A lot of thought and planning went into choosing the right location for Anurak Lodge. 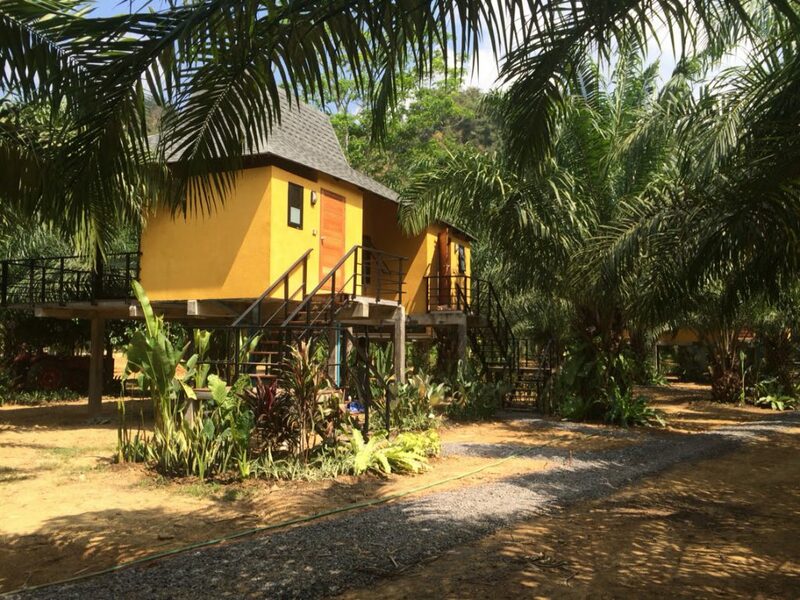 Situated on the edge of Khao Sok National Park in Thailand’s southern Surat Thani Province, we opened our doors in early 2016, but the concept for our Anurak Lodge eco-retreat began to take shape at least two years before the foundations for our first Khao Sok bungalow were even laid. 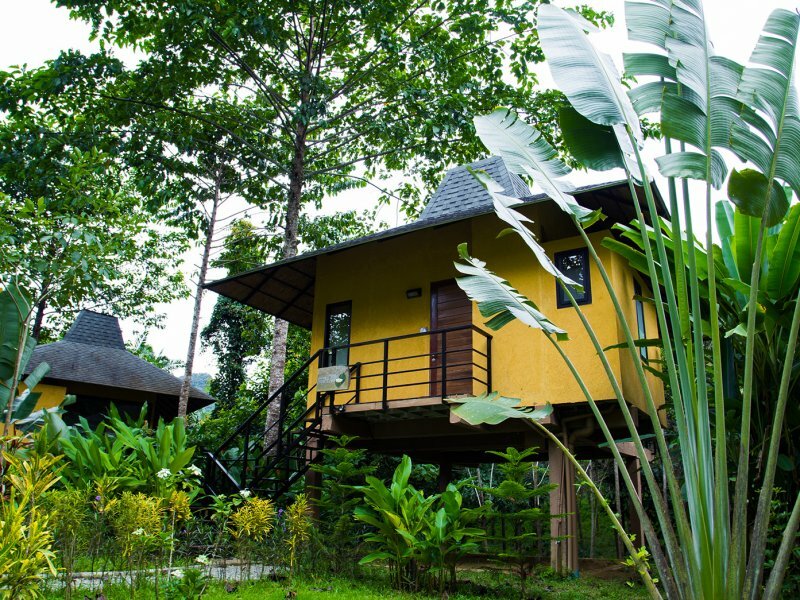 It was our motivation to fill a niche in the market that spurred us on to build Anurak Lodge and meet a growing demand for outdoor eco-friendly adventures, aimed at those with a love and appreciation of nature. 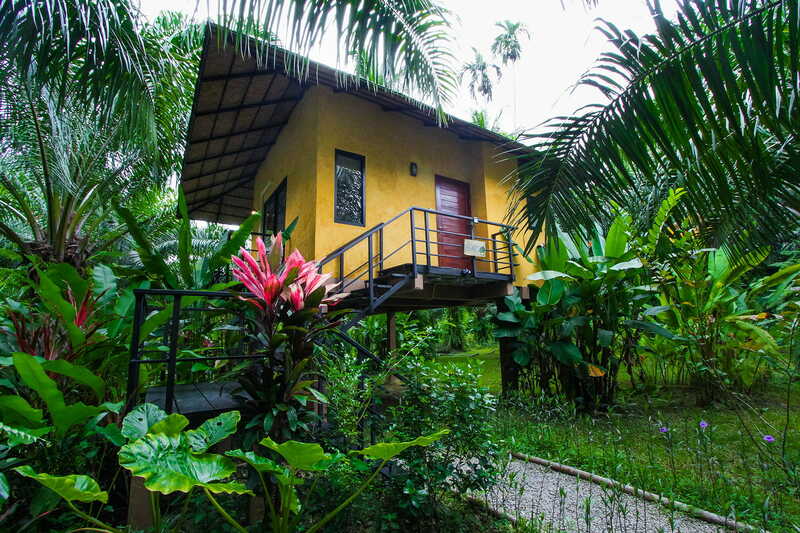 Khao Sok National Park was of course a natural choice to build an Anurak eco-lodge. Its pristine biodiversity and natural beauty make it a popular place for both Thai holiday makers and foreign visitors alike, looking for a truly peaceful retreat. 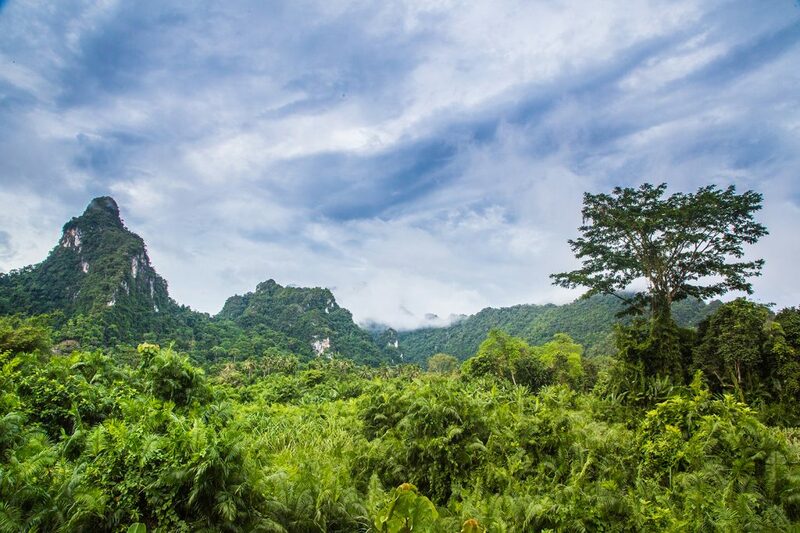 However, we wanted to find a location that would not be too close to the already built up entrance of Khao Sok National Park – one that would be set apart from other hotels and resorts – away from traffic, ATM’s, 7-Elevens, and the hubbub of night entertainment. In addition, although the location was in a beautifully isolated spot, it was still close enough to the main highway to ensure that guests would be within an easy drive from Surat Thani International Airport, while visitors coming from destinations like Krabi or Phuket in the south would be able to reach Anurak easily by road. 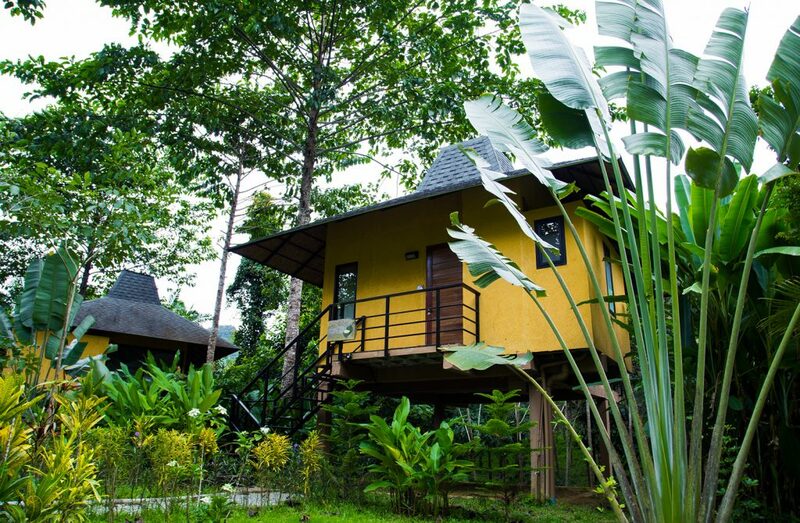 Construction of our Khao Sok bungalows got underway, but not at the Anurak site itself. 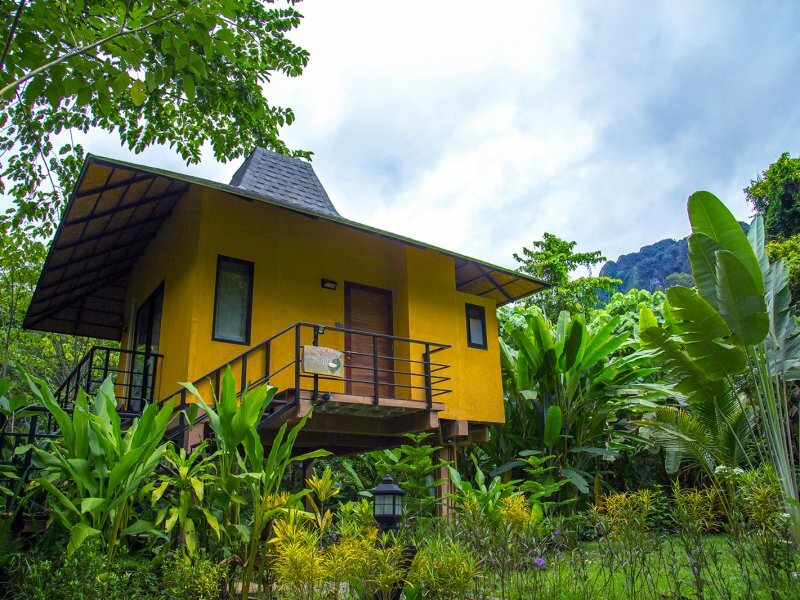 To ensure we would leave as little impact on the surrounding environment as possible all our Khao Sok bungalows were designed and made from light prefabricated materials in Bangkok, and then the parts were transported to the site where they were assembled. This meant that they would be easy to maintain and also allow us to avoid using hardwoods, thereby demonstrating our dedication to practical conservation. From the time of acquiring the Anurak site in early 2015, things began to move quickly. 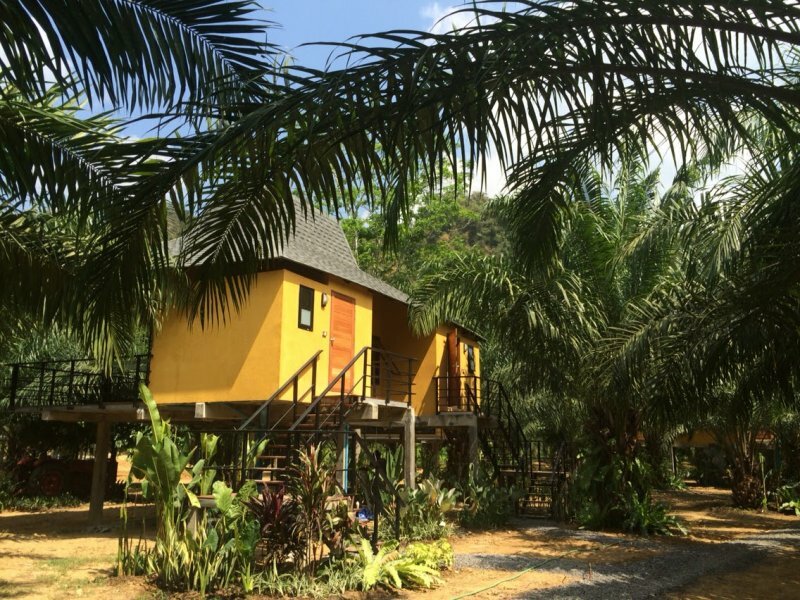 Planning and construction of our Khao Sok bungalows and restaurant buildings was all completed within a year, so by the beginning of 2016, we were ready to open our doors. We currently have 12 bungalows with a combined 18 rooms, but our spacious gardens means that, if necessary, we could increase that number in the future. 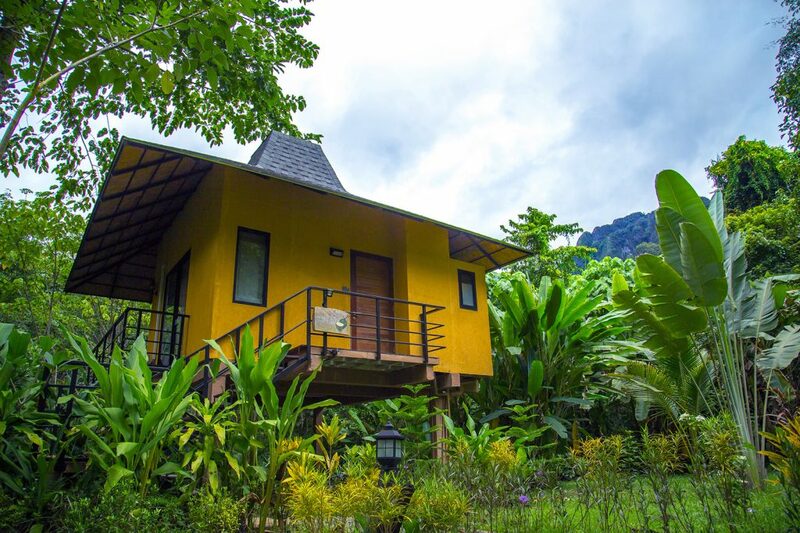 All our Khao Sok bungalows are designed with high, joglo-style Javanese roofs, reflecting the shape of the towering rock formations in Khao Sok National Park. We began looking in earnest and even used Google Maps and Street View to help us find a location. Over a period of about three months, we narrowed down our search to a 50 km stretch of road between the towns of Phanom and Takua Pa. This highway cuts through Khao Sok National Park, passing through some of the most stunning scenery in Thailand – a region of soaring limestone mountains and rolling jungle wilderness. But if it wasn’t for the help of friendly locals, we would probably have never found the perfect spot. In our search we approached many people from local communities and villages and it was through talking to them that we homed in on the ideal location. There were a number of factors that attracted us to this special place. First, it was not too close to metropolitan areas, with the added bonus of having the mountains and natural rugged beauty of Khao Sok National Park visible in almost every direction. In addition, the Sok River was only a stone’s throw away, offering all sorts of potential for water activities like, canoeing, rafting and tubing. The six-hectares of land were also right on the park’s boundary line with only a dirt track separating our site from the park itself. 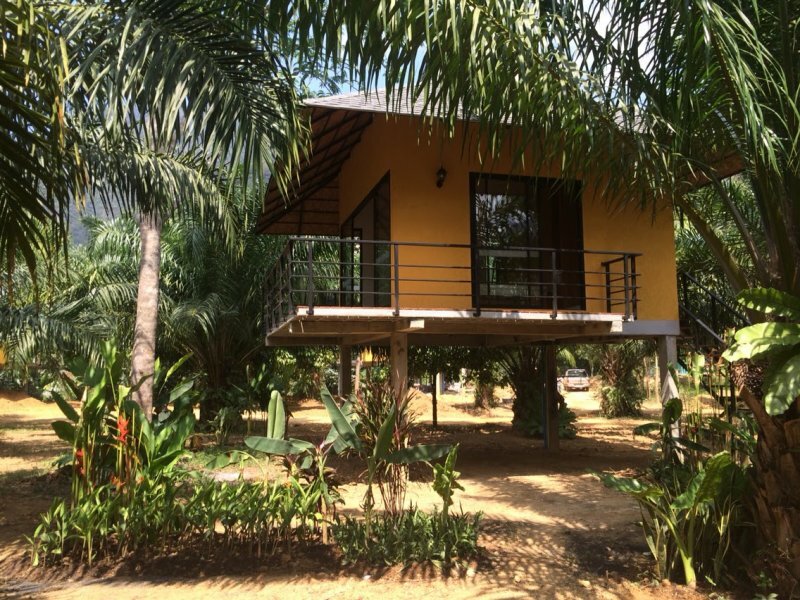 What’s more, the piece of land was part of an old oil palm planation, so there would be no need to damage or clear away any indigenous forest habitat to build our eco-lodge. 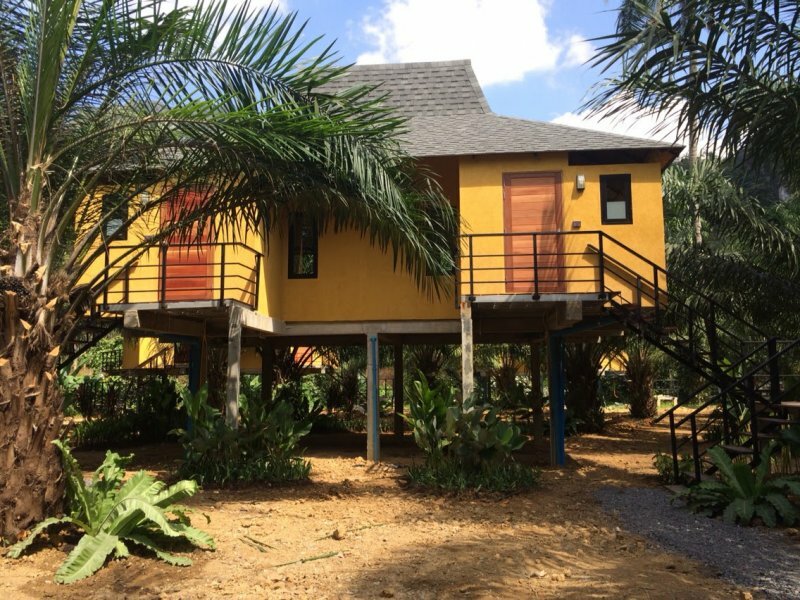 Since opening we have constantly been adapting and developing our site, planting new trees and slowly replacing the oil palms on the property (which take a lot of important nutrients from the soil) with indigenous forest trees to give our guests a truly unique jungle lodge experience. You can already see the difference in our gardens as they slowly transform from a plantation monoculture into a more diverse natural habitat. In keeping with our conservation approach and practices, we have also avoided building a swimming pool, as this is not a natural part of the ecosystem, and chemicals used to maintain a pool could potentially seep into the water table, nearby streams and the Sok River, resulting in pollution of the environment. 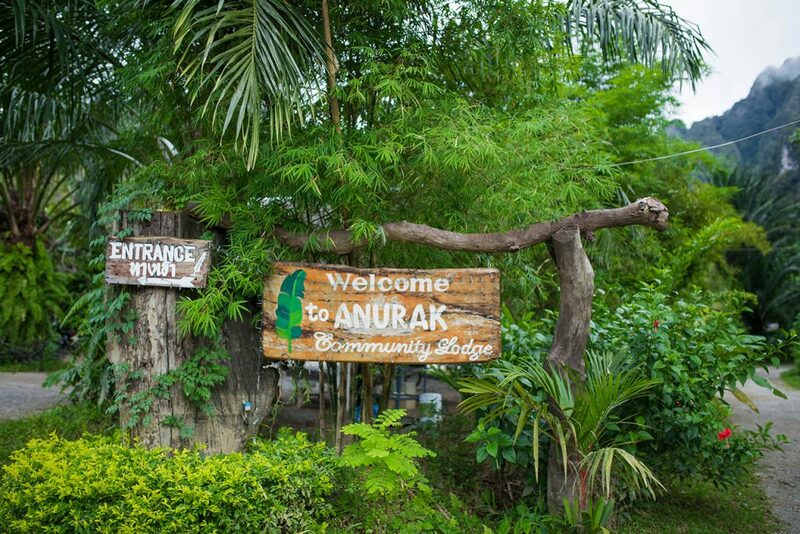 Our dedication to sustainable travel in Thailand has also been an important factor in Anurak’s success. Local villagers who helped us find this beautiful location also make up the majority of our staff on site. 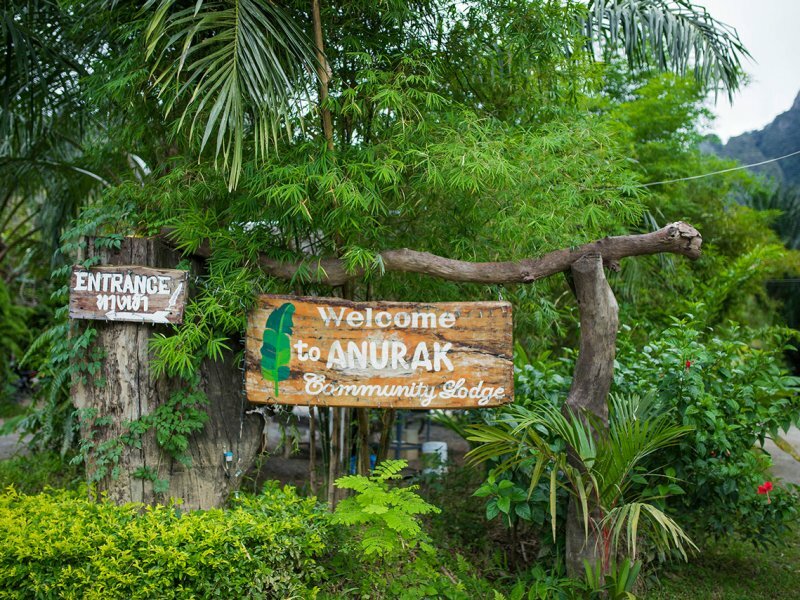 By working for us at Anurak as guides, cooks, housekeeping staff, restaurant staff and more, we are able to provide them with additional income. 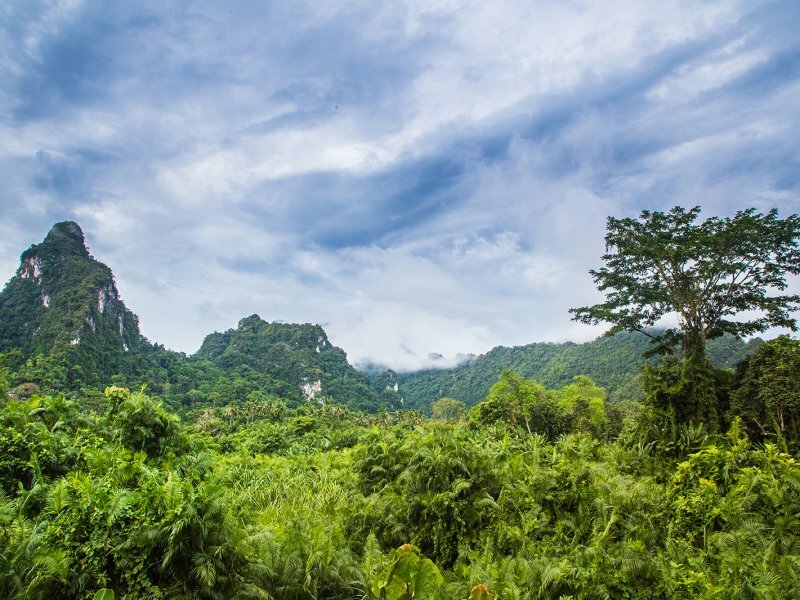 It means they begin to appreciate the importance of nature conservation as a sustainable alternative to destructive farming practices, as well as hunting and poaching – two major threats to Khao Sok National Park’s indigenous wildlife. We are greatly appreciative of all the positive feedback and praise we have received from guests coming to stay at Anurak. It is a great morale booster for our staff to know that guests really appreciate our approach to eco-tourism and support our efforts to provide a destination where the wonders of nature are a unique part of their holiday experience.